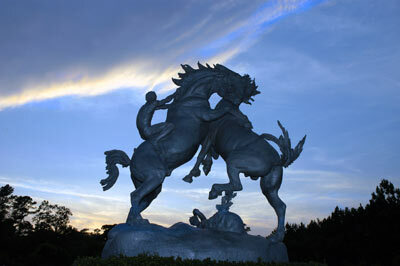 Myrtle Beach, as well as the surrounding Grand Strand, has quite the unique history. It's a history that includes a pirate left behind on an island with a large cache of stolen rum, Native American tribes who called the area home and even the occasional ghost story. 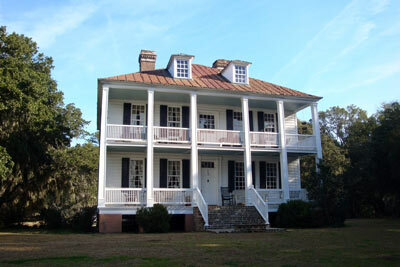 Horry County was cut off from the plantation culture that flourished elsewhere along the coast, due to being surrounded by rivers on one side and the Atlantic Ocean on the other. Residents in what is now the Conway area were hardworking farmers, timbermen and turpentine distillers who bartered for their needs. A typical family in 1875 earned approximately $2.50 a year in what was nearly a cashless economy. Today, phenomenal expansion and development have contributed to the Myrtle Beach area's national reputation as a year-round resort abundant with hotels, more than 100 golf courses, almost a dozen live entertainment theaters, unequaled entertainment/shopping complexes, nationally acclaimed attractions and thousands of dining choices.